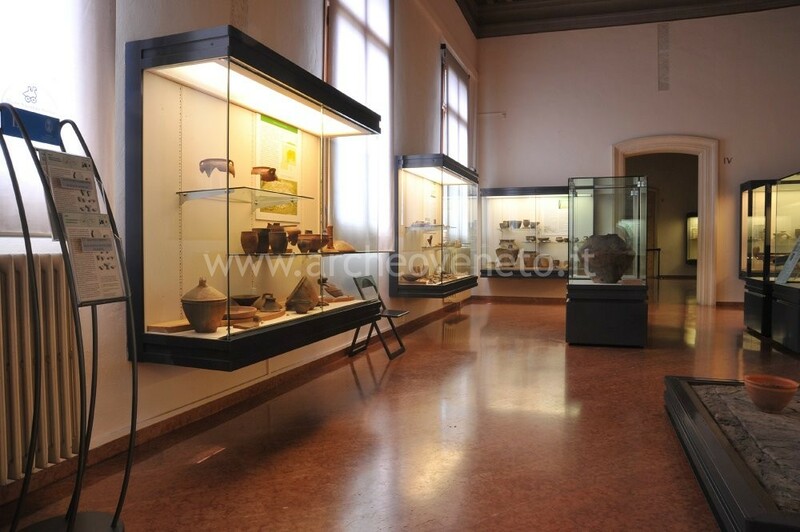 Thanks to the excellent Egyptian remains of ancient origin kept in some museums in Veneto it’s possible to make an interesting journey discovering the culture and the artistic production in Ancient Egypt. The visit starts at the Museo agli Eremitani in Padua containing some remains of Theban and Mephitic origin which belong to private collections such as the one of Gian Battista Belzoni. 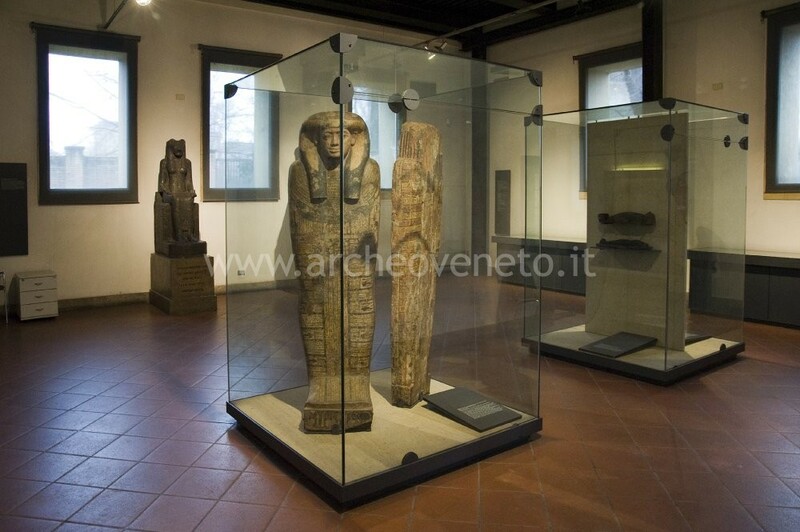 The second stage takes place at the Accademia dei Concordi in Rovigo, whose archaeological section possesses a series of Egyptian antiquities of collector’s origin. Where did the inhabitants of Veneto live before the Romans? 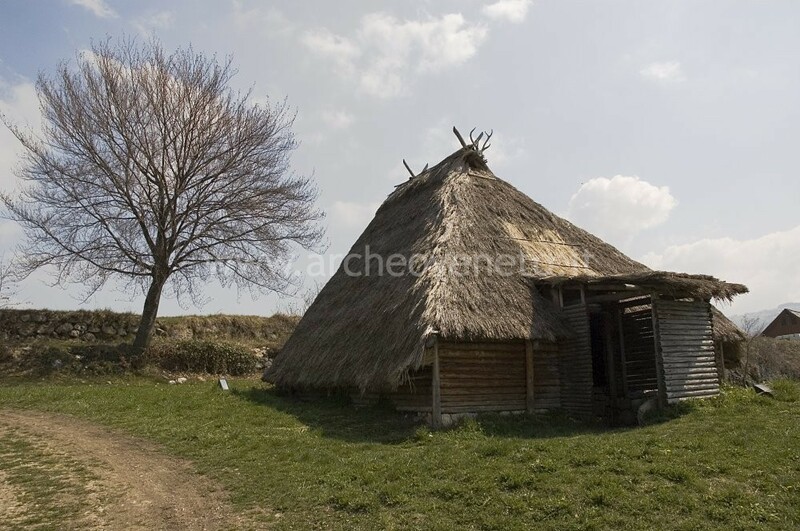 The route leads tourists both to the discovery of the ancient living units where the people of Bronze and Iron Age lived and to the museums containing the remains of these buildings. In the village of Rotzo (populated between the V and II centuries B.C.) one can see the experimental reconstruction of a hut, from here it’s advisable to visit the Museo Archeologico dell’Alto Vicentino (Archeological Museum) in Santorso containing both the domestic remains found during the excavations in Rotzo (earthenware, frame weights, tools) and the reconstructions of the rooms of the hut. The last stage shows other villages of the Vicenza area dating back to the Iron Age such as the one of Trissino, made up of a series of small terraced houses (partly underground) acting as house-laboratories for working with metals, the remains of which are exhibited at the Museo Civico in Montecchio Maggiore. The first evidence of a population’s settlement in our region dates back to the Lower Palaeolithic (between 500.000-300.000 years ago) and to the Middle Palaeolithic (120.000-40.000 years ago) : the time when the men settled in cave and looked for shelter under rock, situated mostly in the Monti Lessini and in the Monti Berici. 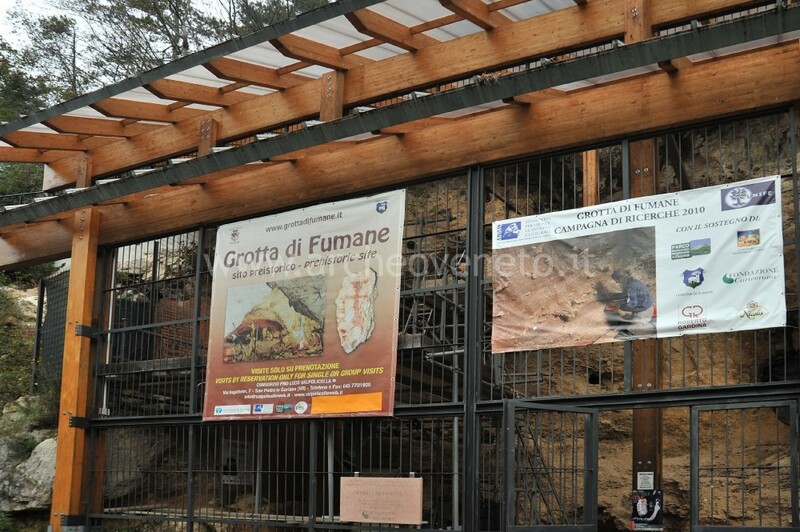 The routes, chronologically structured, start from this area with the visit of the Grotta di Fumane (Fumane’s cave) containing the remains of frequent human presence between 100.000-32.000 years ago. The second part of the route takes place at the Museo di Storia Naturale (Natural History Museum) in Verona exhibiting an extensive documentation of pre-historic remains found in the Verona area between the first half of the 1800 and the second half of the 1900. The third part leads to the discovery of the pre-historic Veneto through the spectacular cultural and funeral site in Sovizzo testifying the Copper Age development (Eneolithic, 3300-2300 B.C.) in a documented funeral culture in neighbouring regions such as the great Emilian and Lombard necropolis. This route ends with the visit at the Museo Civico in Vicenza in the pre-historic section exhibiting materials coming from the Vicenza area from the Palaeolithic to the Bronze Age. This route, related to "Houses in the Pre and Proto-historic Veneto – I", leads tourists to the discovery of all the particular aspects of the domestic life of the people who lived in Veneto during Bronze and Iron Age: the organization of the space, the structure, the decoration of the rooms and everything related to the domestic life. The four stages offer four well-known examples of pre and proto-historic houses in the central-East Veneto: the first one in Mel (VI-V centuries B.C.) based on the remains exhibited at Civic Museum in the territory of Zumelle (X century B.C. today known as Oderzo) which was an important historical centre of the modern Treviso area; the second one shows the remains related to the stemmed village of “Le Motte di Sotto” in San Martino di Lupari, dating back to the middle Bronze Age. This route (like the previous one) leads tourists to the discovery of the populations living in Veneto before the Romans. 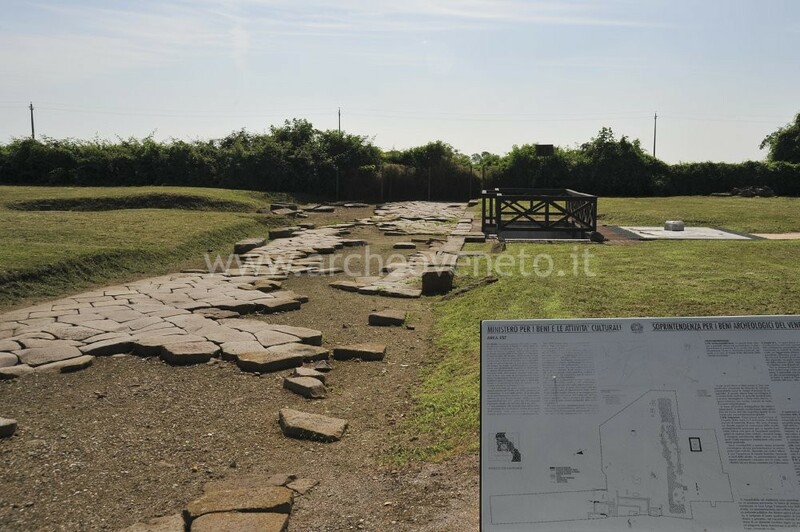 The first stage takes place in the archaeological area in Bostel di Rotzo where it’s possible to see the remains both of a high-grounded house (Iron Age) and the reconstruction of a house (a semi-basement) found here. Second stage: Roana. Here one can see some wonderful rock carvings (especially anthropomorphic, zoomorphic, theomorphic figures and solar symbols) the most ancient ones date back to I millennium B.C. This route ends with the visit at the Museo Civico in Bassano del Grappa of the pre-historic and proto-historic section exhibiting materials coming from the Bassano area thanks to surface collections and to a systematic research (materials from Liedolo-colle San Lorenzo, San Giorgio di Angarano). The funeral habits in honour of the deceased are to be considered as a fundamental aspect in the people’s culture. Thanks to the necropolis we can learn much about a remarkable aspect related to the concept of existence which is part of all ancient civilizations. The findings excavated some wonderful showpieces and handicrafts from the graves. These remains are intact thanks to the fact that they have been kept in the excavated graves. This route, related to the "Pre-Roman necropolis" II, III and IV (possibly to be complemented with these ones) leads tourists to the discovery of the remains and of the archeological areas of some among the biggest necropolis in the pre-Roman Veneto: some dating back to the Ancient Bronze and Iron Age situated in Montagnana, others related to the Veneto centre in Este (with the remarkable examples of the Situles’art), some rich in precious tools dating back to the Veneto stage in Padua and lastly the amazing sacred-funeral site dating from the Copper Age recently discovered in Sovizzo. This route, related to the "Pre-Roman necropolis" I, III and IV (possibly to be complemented with these ones) leads to visit the remains of the most important pre-Roman necropolis in Veneto. These remains enable us to learn much about the funeral culture and about the extraordinary artistic work of the people who lived in this area in ancient times. The route has been planned in chronological order: firstly the visit at the new Museo Nazionale in Fratta Polesine, where it’s possible to see remarkable grave-tools belonging to four important necropolis from the Final Bronze Age (in Desmontà-Veronella, Gazzo Veronese, Garda and Frattesina); secondly the visit of the funeral remains from the VI and V centuries B.C.. found in the necropolis of Adria (Cà Cima, Canal Bianco) at the Museo Nazionale in Adria; lastly the visit deals with the funeral culture of the inhabitants of ancient Veneto showing the wonderful sets of the urban Paduan necropolis kept in the Museo Civico agli Eremitani in Padua. The route leads, through a sort of time travel from the Paleolithic period until the Iron Age, to the discovery of the funeral traditions of the people who lived in ancient times in the central-North area of our region. 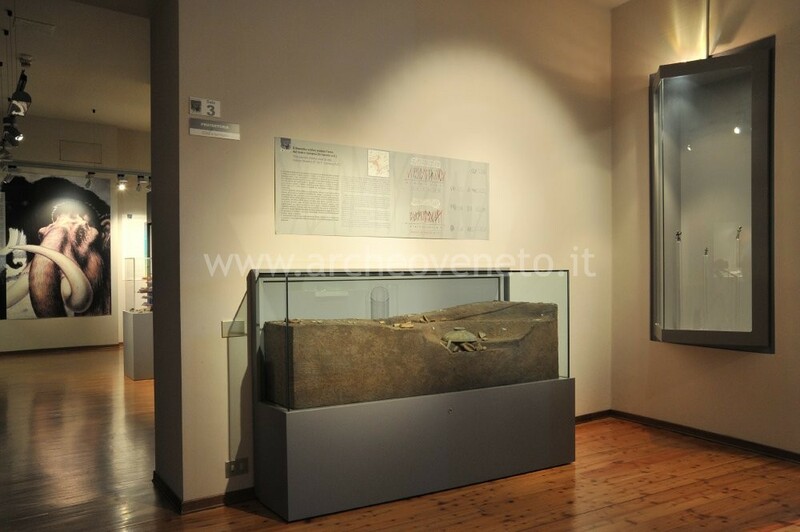 The first stage, at the Museo Civico in Belluno, shows tourists one of the most ancient burial sites in Veneto: the -Grave of the Hunter- (in Italian: Tomba del Cacciatore) found at the Riparo Valbruna in Val Cismon-Val Rosna, dating from the Epigravettian stage of the Superior Paleolithic (about 12.000 years ago); in this same place one can see some rich proto-historic funeral sets excavated in different areas in the vicinity of Belluno (Ponte nelle Alpi, Alpago, Longarone). The second and the third stage, in Mel, visit the centres around the area and around the remarkable remains belonging to the burial ground related to the centre that was situated here during the V-VI centuries. 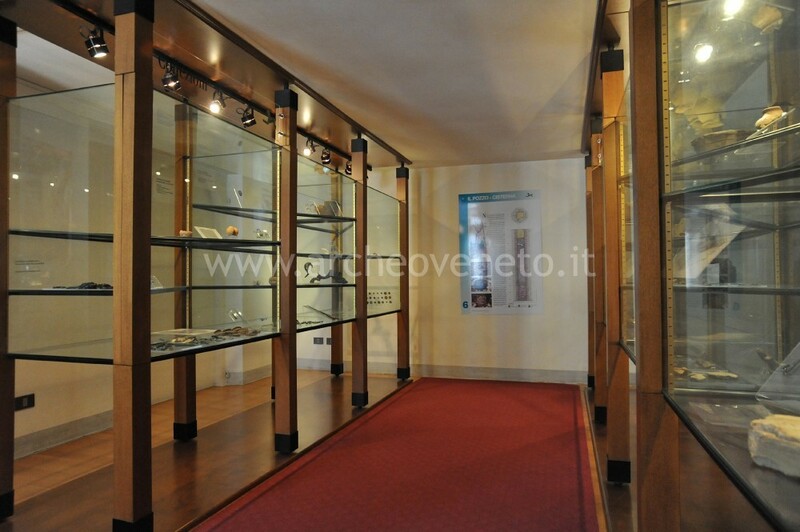 The route ends at the Museo Civico in Montebelluna which contains the materials of the necropolis in the Montebelluna area, a proto-historic village which was an important centre of the region situated strategically in the entrance of the Valle del Piave. 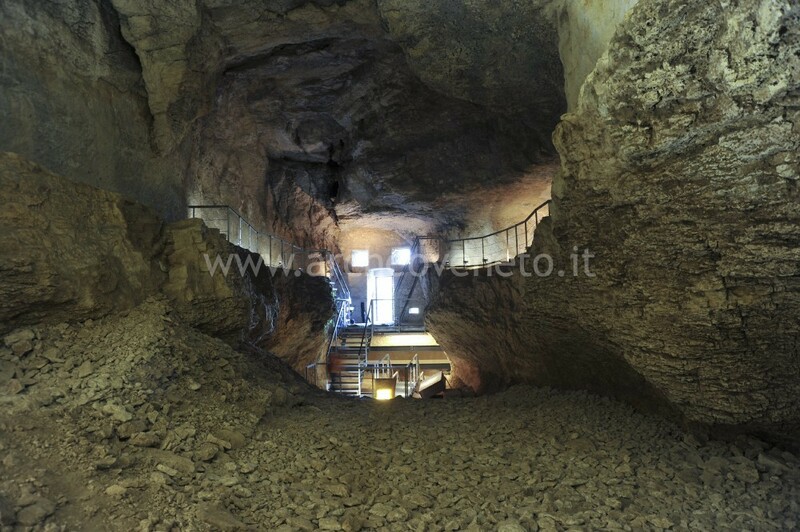 As a possible continuation of the route we recommend a visit to the Museo Civico “Vittorino Cazzetta” in Selva di Cadore where the wonderfully well-preserved Mesolithic burial site of the Mondeval Man (human remains and his belongings) is exhibited. 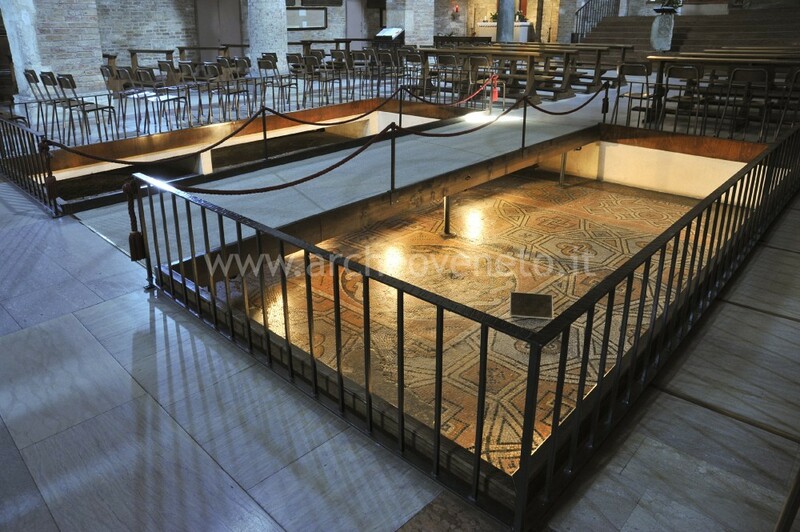 The southern area of Verona is particularly rich in burial sites dating from the Roman Age and this enables us to understand the funeral traditions belonging to the people living in this area before the Romans. This route, related to the "Pre-Roman necropolis" I, II and III (possibly to be complemented with these ones) leads tourists to the discovery of some recently reopened museums where it’s possible to see the materials and the remains of the necropolis from the left side of the Adige river (Desmontà, Baldaria), from the Legnago plain (Olmo, Scalvinetto, Castello, Franzine Nuove, Crosare, Colombara and Lovara) and from Povegliano and its surroundings (loc. Gambaloni, Crocetta, Madonna dell’Uva Secca). These remains span from the Eneolithic to the Iron Age. Before the Romans in Veneto (from the Iron Age IX century B.C.) in our region another civilization developed: the Venetian one. We know, although not completely, the urban centres (Padua, Este, Treviso, Vicenza, Altino, Oderzo), the big and rich necropolis (Este, Montebelluna, Mel) and the places of worship (such as the one in Lagole di Calalzo). This route (and the following "The Civilization of the Ancient inhabitants of Veneto – II") exhibits the main Veneto civilization’s centres through the remains and the materials showing us its arts, culture, society and religion. The first stage is in Este, exhibiting the remains related to the houses, the necropolis, the artistic production (Situle’s Art) and to the sanctuaries of very important Venetian centres. The second stage leads to the Museo agli Eremitani, in Padua, containing excellent examples of vases, stele (the well-known Padua stele) and small bronzes coming from the necropolis and the places of worship in the Padua territory. This route (and the previous "The Civilization of the Ancient inhabitants of Veneto – I") leads tourists to the visit of the most important museums and centres related to the civilization which developed in our region from the Iron Age to the Romans: the Venetian one. 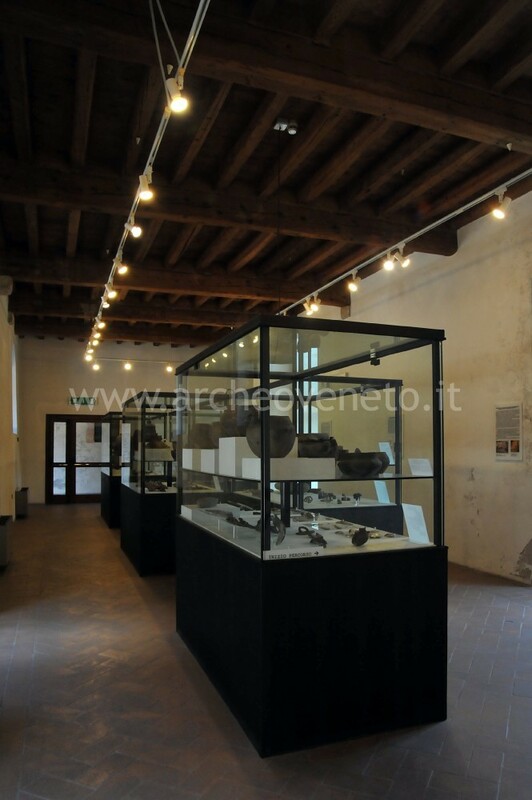 This route, taking place in the central-North area, starts at the Museo Civico in Montebelluna, containing objects from the necropolis of its Venetian centre (Posmon and S. Maria in Colle), rich in valuable tools which are a testament to the high-level handicraft of the time. The second and the third stages lead to another important Venetian centre, situated in the high valley of the Piave river in Mel: at the Museo Civico in Zumelle you can see the remains both of a house and of a large necropolis of tumulus graves and the objects found within have a great importance from a historic-artistic point of view besides letting us learn about relevant aspects of the daily life of the time. The last stage ends in the heart of Cadore, at the Museo Civico in Pieve di Cadore, where one can see the important and rich findings of the Lagole di Calalzo Venetian Sanctuary. This route leads tourists to discover the culture of the ancient inhabitants of the Veneto through one of the most important aspects of their life: religion. By seeing the consecrated objects in the biggest Sanctuaries of the region (Piazzetta S. Giacomo in Vicenza, S. Pietro Montagnon in Montegrotto and in the sacred areas in Este) one can discover the type of divinities they believed in, their cultural practices, and the typology of the believers who used to attend such places of worship. In this way we can reconstruct a very important aspect of the civilization which developed before the Romans. This route is ideal to follow after route "The religion in the Proto-historic Veneto – I" and it leads tourists to visit the pre-Roman Veneto through some important places of worship, which are less known than the previous ones. The Sanctuary, which stood in Altino (Fornace), was a multicultural place of worship attended by the inhabitants of the Veneto, Greeks and Etruscans whose marks are the wonderful small votive bronzes kept in the Museo Archeologico Nazionale (National Archeological Museum). At the Civic Museum in Pieve di Cadore you can see the ex-voto remains found in Lagole di Calalzo, where the place of worship of the local divinity Trumusiate/Tribusiate Sainate can be found since the VI century: she has been identified as the mythological figure of Apollo centered around the local mineral water which flows in springs. At the Museo di Auronzo in Cadore you can see the material of the Sanctuary of Monte Calvario: a sacred place which acted also as a writing centre attended for six centuries (I sec.-V sec.) both by the local inhabitants and by occasional believers such as soldiers, craftsmen and merchants. This route (with the following "The Greeks in the Ancient Veneto – II") leads to the visit of the Greek materials exhibited in the museums in Veneto; thanks to these remains it’s possible to learn about the artistic production, the society and about the culture of the ancient Greeks. The materials come both from antiquarian origin and from findings in the territory (such as the Greek vases found in the caves in Adria): they are a testament to the existence of relations between our region and Venice from the ancient period to the Venice Republic. The first visit at the Museo Archeologico Nazionale in Adria shows the extraordinary Greek vascular production exhibiting both Attic ceramics and black and red figures produced between the VI and IV centuries B.C. The second stage, at the Museo Archeologico Nazionale in Venice, presents excellent examples of sculptures from the Classical and Hellenistic periods belonging to the collections of Giovanni Grimani and Federico Contarini. This route (with the previous "The Greeks in the Ancient Veneto – I") leads to the visit of the Greek civilization and arts exhibited in the museums in Veneto. 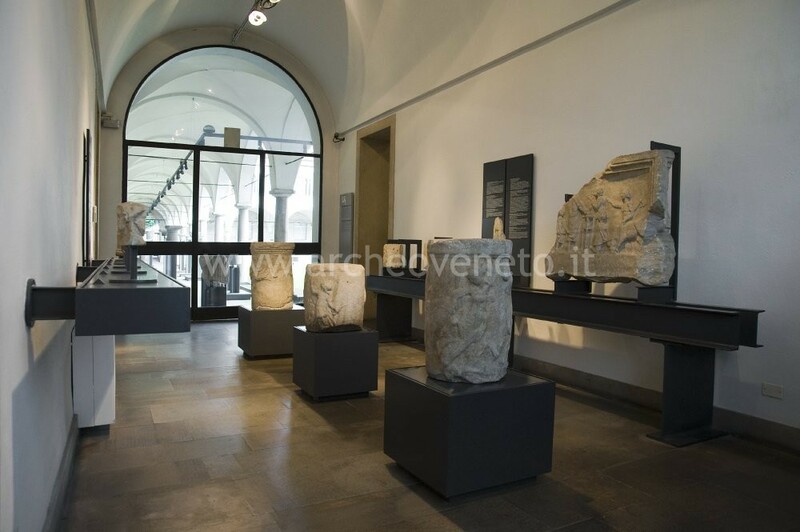 The first stage takes place at the Museo Maffeiano in Verona where one can see the inscriptions, votive reliefs and funeral stele of Classical and Hellenistic origin which help us learn much about society, religion and artistic production of the time. 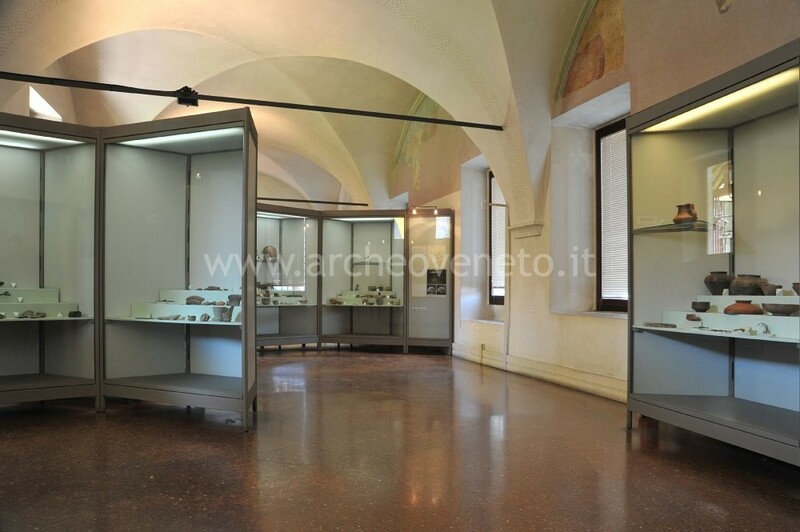 At the Museo Civico in Bassano del Grappa, the second stage, one can see both a remarkable numismatic collection and extraordinary examples of Corinthian, Attic, Graecia Magna (Messapian, Daunia, apulian and from Gnathia) ceramics belonging to the collections of Virgilio Chini. The last two stages complete the Hellenic art tour with the Greek ceramic (Corinthian, Attic with black and red figures, Eastern-Greek and Laconic) of the Casuccio collection, exhibited at the Museo agli Eremitani and with the collection of plaster casts at the Museo del Liviano, representing the most well-known statues of Classical and Hellenistic origin. This route proposes a tour through several remains belonging to the Etruscan civilization kept in the museums of our region. Even if it contains mostly remains of ancient origin (in most cases lacking in information about its origin) the exhibited pieces are all of high-quality letting us learn both about the artistic production and the handicraft of the Etruscans. At the Museo Maffeiano in Verona it’s possible to see some particular articles, such as cinerary urns, coming from central Italy excavations, collected by the Veronese Jacopo Verità in the mid-1700. The Museo agli Eremitani in Padua exhibits the rich sets found in the necropolis of Banditaccia (in the vicinity of Cerveteri) and earthenware in various guises, donated by the countess Giacinta Emo Capodilista Ruspoli. 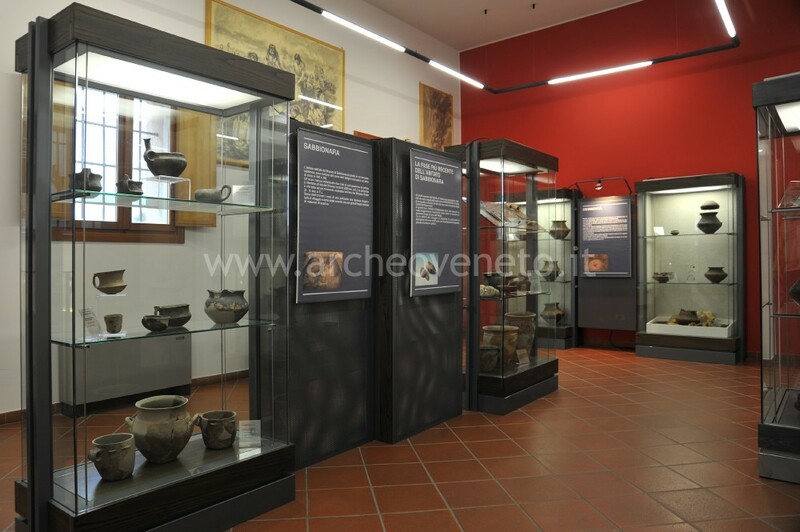 The tour ends at the Museo Archeologico Nazionale in Adria which contains extraordinary pieces (such as bucchero and ceramic vases, metallic products, and inscriptions) of Etruscan origin thanks to the trade routes in use from the VI century B.C. 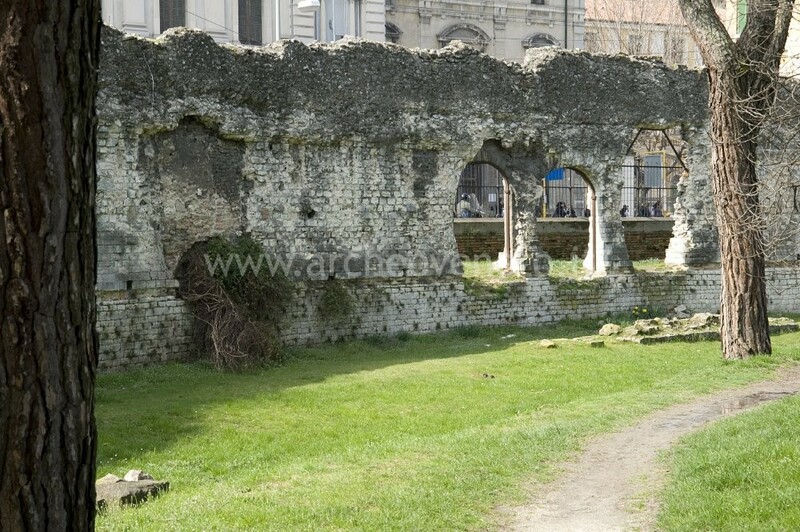 The Roman age buildings for entertainment represent the most suggestive monuments of the Roman architecture. 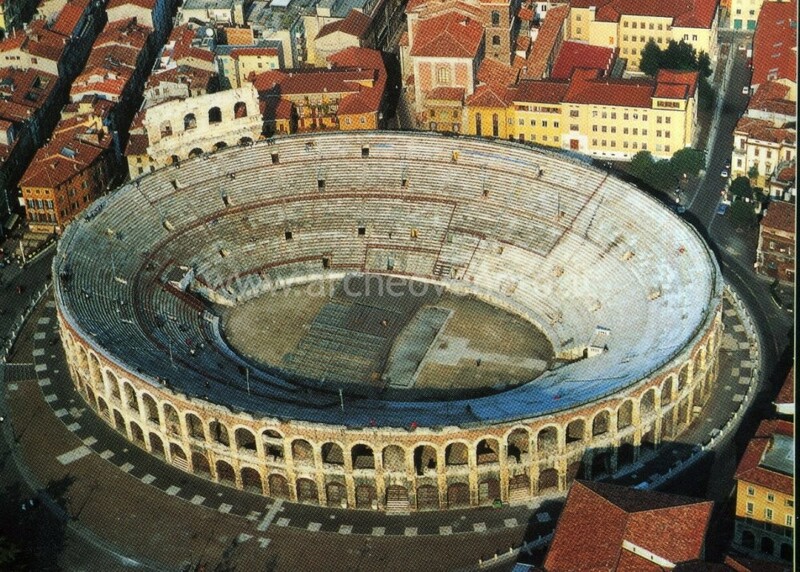 In Veneto there are some well preserved examples of Romans buildings for entertainment: the theatre, characterized by its semicircular structure and assigned to tragedies, comedies and mimes, and the amphitheatre, characterized by its elliptic structure and used for gladiatorial performances. The trip (to be integrated with route "Veneto theatres and amphitheatres during the Roman age – II") leads you to discover theatres and amphitheatres of west Veneto, starting from the extraordinary examples found in Verona, perfectly visitable thanks to their optimal preservation. Then you’ll move to Vicenza to get in contact with the ancient Vicetia theatre original history simply by walking in the Berga district and by visiting the Civic Museum. After the Roman age many buildings had been built on the theatre but they still maintain its external curvilinear shape. The trail (prosecution of route "Veneto theatres and amphitheatres during the Roman age – I") leads to discover some other examples of the Roman architecture, which are less famous but equally suggestive. 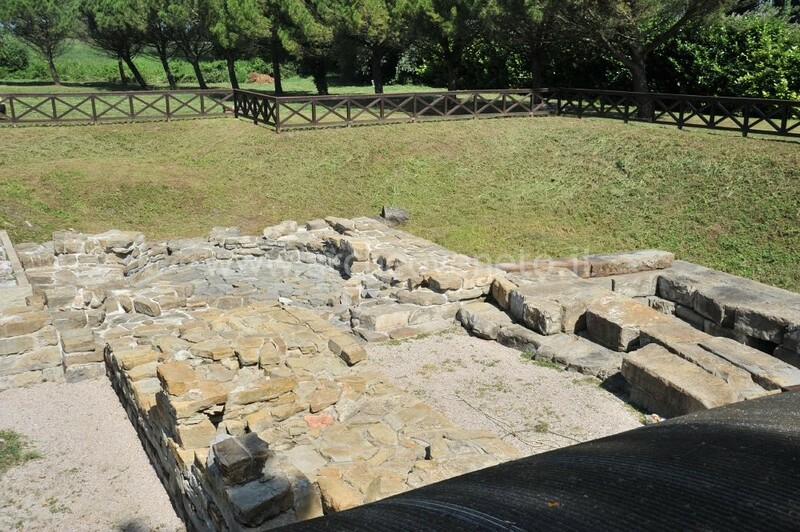 Even though not so well preserved as the Arena in Verona, the amphitheatre of the ancient Patavium is still distinguishable and located in a pleasant green area with elliptical walls made of Berici hills limestone. The second stop will lead you to Montegrotto, a very important cultural and thermal center during the pre-Roman and Roman age. Here the remains of a small and particular theatre are present: on the top of its steps there is a sort of little temple or royal box for guests. Thanks to several findings in the populated areas of the Roman towns in the Veneto it’s possible to look closely at different examples of Roman houses in our region. These findings enable us to learn about the organization of the space, the structure, the decoration of the rooms and everything related to the domestic life. This route, connected to "The Roman house in Veneto – II", begins with a visit of the domus (-house- in Latin) of the western Veneto .For example, Verona provides us both with an example of a house in the heart of the city centre and also with an example of a suburban villa; in Vicenza it’s possible to see a unique example of an underground room existing in northern Italy: a covered corridor belonging to a rich urban house situated here. 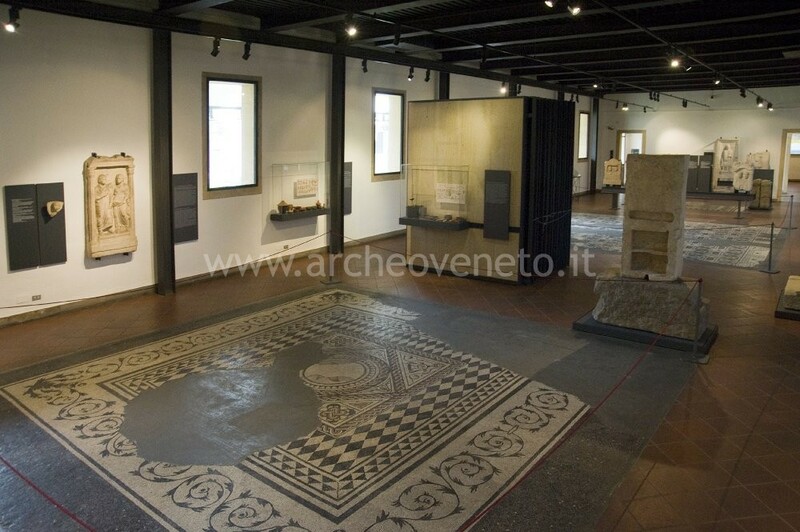 The route ends at the Civic Museum of Vicenza with the visit of some remarkable mosaic covered floors which decorated the boardrooms of the houses. 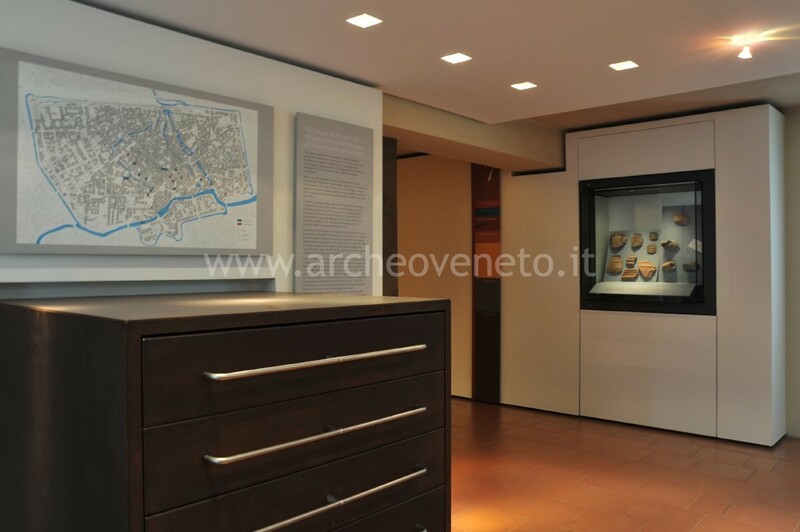 This route, related to "The Roman house in Veneto – I", shows the most remarkable examples of Roman houses in Veneto. It enables us to discover the organization of the space, the structure, the decoration of the rooms and everything related to the domestic life. This route includes both the archaeological findings of some wonderful houses (Altinum, Opitergium and Concordia) and the opportunity to view the material found inside these buildings (mosaics, remains, decorations, daily objects) at the Oderzo and Portogruaro Museums. This route (like the following "The Roman artistic culture in Veneto" II and III) leads to the visit of the biggest museums in Veneto where it’s possible to see the most remarkable examples of Roman artistic production: sculpture, painting, mosaic art and artistic handicrafts. The first stage takes place at the Museo agli Eremitani, in Padua, showing portraits, statues of Gods, funeral and votive reliefs coming from the findings in Padua and its surroundings. 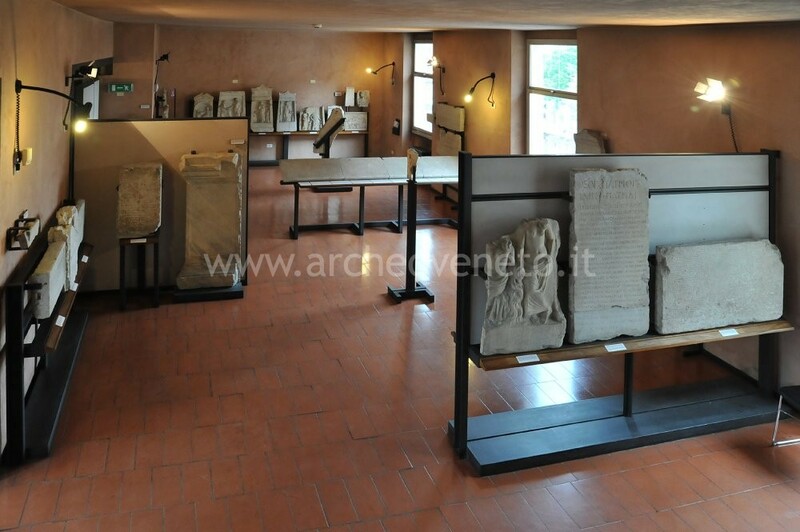 The second stage leads to the visit of the Civic Museum in Vicenza exhibiting both statues and mosaics found in the area of Vicenza and the materials belonging to the precious collection of Girolamo di Velo coming from the excavations in the Terme di Caracalla in Roma. With the last stage at the Archaeological Museum in Verona one can see the mosaic and sculptural finds (besides some exceptional bronze pieces) and other remains belonging to the Roman Veneto. This tour leads to the discovery of the most remarkable artistic marks dating back to the Roman period in Veneto whose best examples are in the Venice’s lagoon area. Three different routes into three different areas of the region are presented here (routes "The Roman artistic culture in Veneto" I and III). The first stage takes place at the Museo Archeologico Nazionale in Venezia where it’s possible to see an extraordinary collection of portraits, funeral and decorative reliefs and also a glyptic collection among the richest ones. 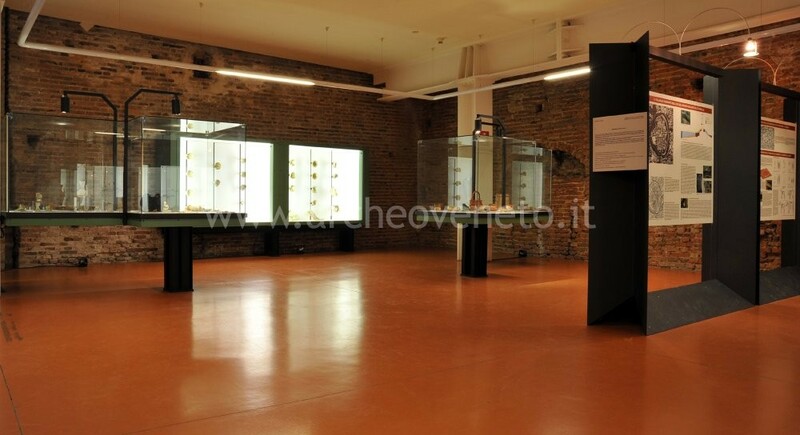 The second stage leads to Murano, in its Museo del vetro (Museum of the glass) are kept extraordinary examples of roman glass works produced between the I and the V centuries B.C. 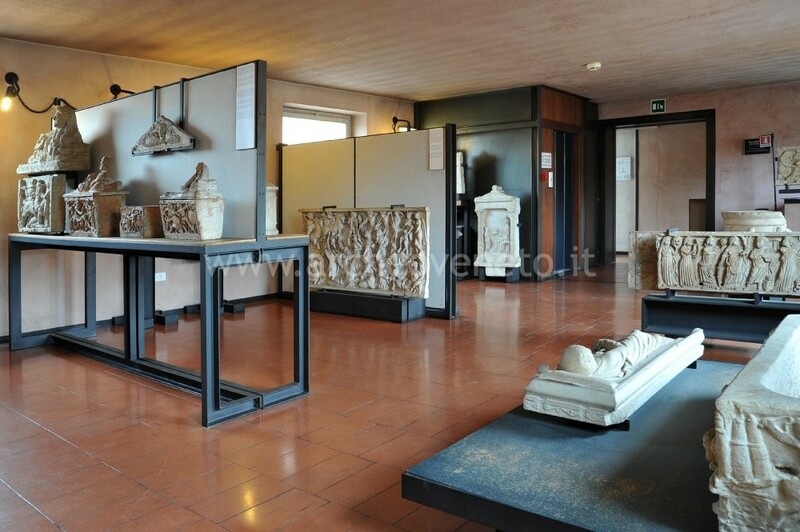 The last visit takes place at the Museo Provinciale in Torcello containing not only Roman funeral statues and monuments but also artistic earthen handicraft materials such as fictile antefixes, decorated fictile slabs and votive earthenwares. The third route leads to the discovery of the Roman artistic culture in Veneto (routes "The Roman artistic culture in Veneto" I and II) taking place in the eastern area of the region where it’s possible to see excellent examples of some sculptural and mosaic production of the time both on site and in two prestigious museums. At the archaeological area and at the Museo Nazionale in Altino are kept wonderful mosaics (which decorated the domus of the city) and some high level examples of funeral sculpture belonging to the necropolis in Altinum. The other visit at the Museo Nazionale Concordiese in Portogruaro exhibits various and remarkable examples of statues, mosaics, architectonic fragments, cinerary urns, bronzes, oil lamps and glass found in Concordia Sagittaria. This route leads to the discovery of the Roman funeral traditions. Nowadays it is possible, through several graves’ and Necropolis’ findings in Veneto, to understand the concept of death at that time. The remains are several: different kinds of sepulchral monuments (sarcophagus, urns, stele and small buildings in various guises), a variety of belongings and multi-faceted traditions. The first stage takes place at the Museo agli Eremitani, in Padua, showing the funeral materials and one can also see a funerary enclosure recently turned into a Museum at Palazzo Maldura. The second stage leads to the visit of the Musei Nazionali in Altino and Portogruaro exhibiting extraordinary examples of funeral monuments from the necropolis of Altinum and Concordia. With this last stage it’s possible to see the remains coming from the “sepolcreto dei militi” (in English “Graveyard of the soldiers”) situated in the city between the IV and V centuries B.C. 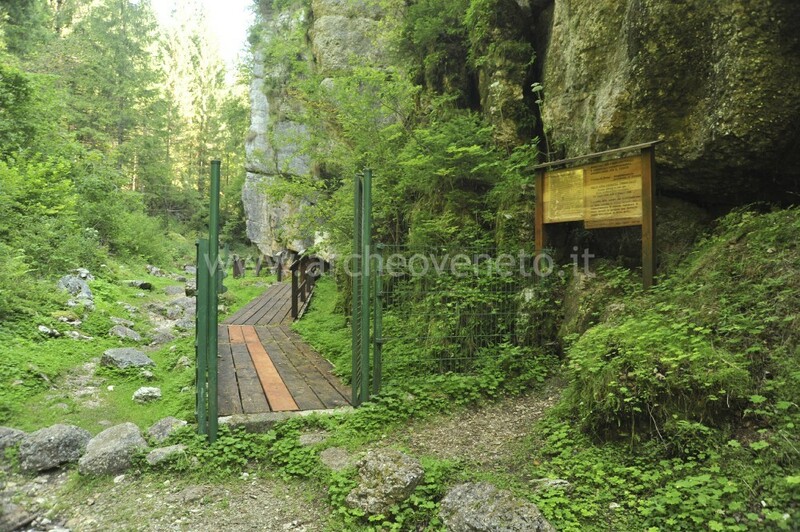 The trail leads to discover the remains of the Roman invasion which are still visible in the Veneto countryside. As in many other conquered territories, Roma implemented an agricultural subdivision (the so-called centuriation) in the Veneto flat in order to improve the organization and the exploitation of the land. This system was so valid as to be still used nowadays. The standard subdivision (each time adjusted to the land features) consisted in a division of 20 x 20 acuts squares (which corresponded to 710 x 710 m), bounded by roads and trenches, which were assigned to colonies. The trail implies the visit of two famous centuriated areas, both of them nearby Padua: one is located in the north-east part of the town (S. Giorgio delle Pertiche, Camposampiero, Borgoricco, S. Maria di Sala) and the other one is located in the town center south part (Granze, Villadose). In addition to the above-mentioned Roman centuriation visitable in the countryside, it is possible to understand this system structure and realization by visiting some local museums. The trail follows the ancient via Annia route, realized by an unknown Roman consul (probably C. T. Annio Lusco or T. Annio Rufo) in an unknown period (153 B.C.? 131 B.C.? 128 B.C.?). This road regularized a track between the middle plain and the north-eastern coast used since the Final Bronze age and the Iron age: it started from Adria (or maybe from Bologna) and it reached the main urban center of the region – Padova, Altino, Concordia – connecting them to Aquileia town.